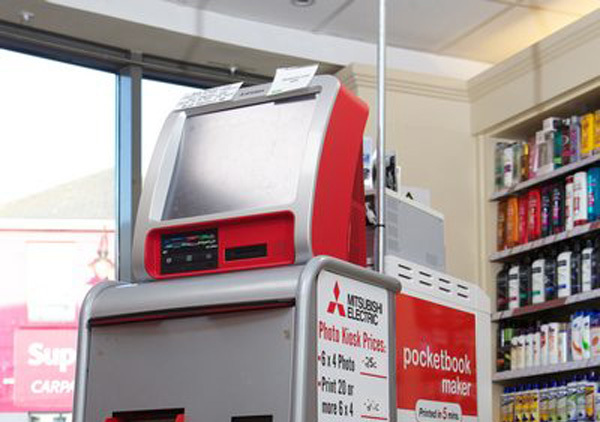 At Trants Pharmacy we have an easy to use self-service Mitsubishi photo print kiosk where you can print all you photos at an affordable price. Why not create a photobook to tell your own story by using the step by step guide on our Mitsubishi Kiosk. Make those memories last forever in a unique and special way by creating our new range of photobooks. Perfect for weddings, holiday photos, birthday celebrations, school year books – in fact any occasion. Its also a great way of preserving your photos in a ‘coffee table’ style book to show your family and friends. On the in-store Mitsubishi Kiosk you can print your images from a wide variety of media including your digital camera media, mobile phones, USB pen drives, CD or DVD. If you are unsure of what to do all you need to do is ask our fully trained staff in-store who are happy to assist you.